Los Angeles, USA -- Evil is a word many people use without thinking deeply about what it signifies. I'd like to compare common ideas about evil with Buddhist teachings on evil, if for no other reason than to facilitate deeper thinking about evil. First, a qualifier: This is a topic I've wrestled with for some time, and my understanding continues to change. This essay is a snapshot of what my understanding is right now, not perfect wisdom. 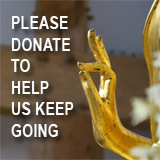 If you have other perspectives you'd like to share, I encourage you to visit the Buddhism forums and leave a message. Evil as intrinsic characteristic. It's common to think of evil as an intrinsic characteristic of some people or groups. In other words, some people are said to be evil. Evil is a quality that is inherent in their being. Evil as external force. In this view, evil lurks about and infects or seduces the unwary into doing bad things. Sometimes evil is personified as Satan or some other character from religious literature. As I've said, these are common, popular ideas. You can find much more profound and nuanced ideas about evil in many philosophies and theologies, eastern and western. But for this essay I want to focus on Buddhist teachings and explain why Buddhism rejects both of these common ways of thinking about evil. Let's take them one at a time. The act of sorting humanity into "good" and "evil" carries a terrible trap. When other people are thought to be evil, it becomes possible to justify doing them harm. And in that thinking are seeds of genuine evil. Human history is thoroughly saturated by violence and atrocity committed on behalf of "good" against people categorized as "evil." I dare say most of the mass horrors humanity has inflicted upon itself have come from this kind of thinking. People intoxicated by their own self-righteousness or who believe in their own intrinsic moral superiority too easily give themselves permission to do terrible things to those they hate or fear. Sorting people into separate divisions and categories is very un-Buddhist. 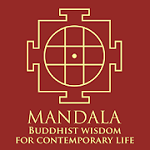 The Buddha's teaching of the Four Noble Truths tells us that suffering is caused by greed, or thirst, but also that greed is rooted in the delusion of an isolated, separate self. Closely related to this is the teaching of interdependent origination, which says that everything and everyone is a web of interconnection, and every part of the web expresses and reflects every other part of the web. And also closely related is the Mahayana teaching of shunyata, "emptiness." If we are empty of intrinsic being, how can we be intrinsically anything? There is no-self for intrinsic qualities to stick to. For this reason, a Buddhist is strongly advised not to fall into the habit of thinking of himself and others as intrinsically good or bad. Ultimately there is just action and reaction; cause and effect. And this takes us to karma, which I will come back to shortly. Some religions teach that evil is a force outside ourselves that seduces us into sin. This force is sometimes thought to be generated by Satan or various demons. The faithful are encouraged to seek strength outside themselves to fight evil, by looking to God. Buddhism teaches us that evil is something we create, not something we are or some outside force that infects us. The word karma, like the word evil, is often used without understanding. Karma is not fate, nor is it some cosmic justice system. In Buddhism, there is no God to direct karma to reward some people and punish others. It is just cause and effect. "Now, the Pali word kamma or the Sanskrit word karma (from the root kr to do) literally means 'action', 'doing'. But in the Buddhist theory of karma it has a specific meaning: it means only 'volitional action', not all action. Nor does it mean the result of karma as many people wrongly and loosely use it. In Buddhist terminology karma never means its effect; its effect is known as the 'fruit' or the 'result' of karma (kamma-phala or kamma-vipaka)." We create karma by the intentional acts of body, speech, and mind. Only acts pure of desire, hate and delusion do not produce karma. Further, we are affected by the karma we create, which can seem like reward and punishment, but we are "rewarding" and "punishing" ourselves. As a Zen teacher once said, "What you do is what happens to you." Karma is not a hidden or mysterious force. Once you understand what it is, you can observe it in action for yourself. On the other hand -- it's important to understand that karma is not the only force at work in the world, and terrible things really do happen to good people. For example, when a natural disaster strikes a community and causes death and destruction, someone often speculates that those harmed by the disaster suffered "bad karma," or else (a monotheist might say) God must be punishing them. This is not a skillful way to understand karma. In Buddhism, there is no God or supernatural agent that rewards or punishes us. Further, as I said, forces other than karma cause many harmful conditions. When something terrible strikes others, don't shrug and assume they "deserved" it. This is not what Buddhism teaches. And, ultimately we all suffer together. "…Kusala can be rendered generally as 'intelligent, skillful, contented, beneficial, good,' or 'that which removes affliction.' Akusala is defined in the opposite way, as in 'unintelligent,' 'unskillful' and so on." I urge you to read all of this essay for deeper understanding. 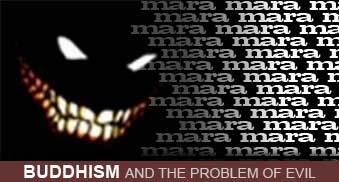 The important point is that in Buddhism "good" and "evil" are less about moral judgments than they are, very simply, about what you do and the effects created by what you do. This essay provides the barest of introductions to several difficult topics, such as the Four Truths, shunyata and karma. If something I have written here makes no sense, please do not dismiss the Buddha's teaching without further examination. "I don't think that it's helpful to think about forces of evil and forces of good. There are good forces in the world, people interested in kindness, such as the response of the firemen, and all of the people who have been making donations to the relief funds for the people affected. "The practice, our reality, our life, our liveness, our non-evilness, is just to pay attention and to do what we can, to respond as we feel we can right now, as in the example Janine gave of being positive and not falling for the fear in this situation. It is not that somebody up there, or the laws of the universe, or however we want to say that, is going to make it all work out. Karma and precepts are about taking responsibility for sitting on your cushion, and for expressing that in your life in whatever way you can, in whatever way may be positive. That is not something that we can fulfill based on some campaign against Evil. We cannot exactly know if we are doing it right. Can we be willing to not know what is the right thing to do, but actually just pay attention to how it feels, right now, to respond, to do what we think is best, to keep paying attention to what we're doing, to stay upright in the middle of all of the confusion? That is how I think we have to respond as a country. This is a difficult situation. And we are all really wrestling with all of this, individually and as a country."